Apple Mac powerbook G4, silver, 2004, WORKING although a few scratches. The laptop is in good condition but has a few small nicks on the edges, a dent on the front corner and wear to the keys. It’s passed Apple hardware tests and runs perfectly. Im here to help. Condition is Used. the lid doesn't close fully. The front face of this machine is in a used condition, showing multiple fine scratches & grazes which may or may not be visible in the photos due to the reflection in the finish. Great little lightweight laptop, super fast start up and amazing to travel with. Works perfectly and in great condition. The built-in dual-core A5 chip in this Wi-Fi iPad facilitates high-end gaming, surfing and overall performance. For an enhanced movie-watching experience, play all your iPad’s digital content wirelessly on HDTV and speakers using AirPlay. Toshiba Protégé R830 laptop. Intel Core i5-2520M Processor 4GB RAM 320GB Hard Drive Windows 7 Professional Installed Please see pictures for condition. It has lots of scuffs/scratches all over. The hinge plastic covers are missing (cosmetic) Battery seems a bit slow to charge but holds charge. Sale includes the laptop & charger. Apple ipad Mini 2nd Generation 16GB Space Grey - New screen Fitted . Condition is Used..
Ending 22 Apr at 6:32PM BST3d 2hType: Notebook/LaptopBrand: AppleProcessor: Intel Core i5 5th Gen. The processor also feature a 'Turbo Boost' that will unleash more power when you need it, so you can handle more programs and intensive tasks without your laptop slowing down. The new MacBook Pro is razor-thin, feather-light and now even faster and more powerful than before. Ending Today at 6:05PM BST2h 32mType: Notebook/LaptopBrand: AppleProcessor: Intel Core i5 7th Gen.
Apple macbook pro 15 retina 2013. 2.7 Ghz i7. Graphics :Nvidia GEforce GT 650M intel 4000z .250gb storage. AMAZING CONDITION: screen is 100% flawless. Screen borders have a few use marks( see pictures). Lasts about 2 hours without charge. No dings no scratches. No problems. Returns accepted. Back to factory settings. CD will not eject but working. 500GB HARD DRIVE. APPLE MACBOOK PRO 15" EARLY 2011. THIS MACBOOK IS IN GOOD CONDITION. DVD RW DISK DRIVE. BACKLIT KEYBOARD. Brand: AppleProcessor: Intel Core i7 2nd Gen. Type: Notebook/LaptopBrand: AppleProcessor: Intel Core i7 2nd Gen. Type: Notebook/LaptopBrand: AppleProcessor: Intel Core i7 4th Gen.
Model: A1278. Macbook Pro 13" Mid 2012 i5 16GB RAM 500GBHDD. Storage: 500GB HDD. CPU: 2.5 GHz Core i5. 13" Apple Macbook Air Mid 2012. RAM: 16GB 1600MHz DDR3. Tablets & Phones. Change of mind. It features a core i5 4260U processor running at 1.4 ghz. Processor: core i5 4260U 1.4 ghz. Macbook Air early 2014. Solid state drive: 256 GB. Hard Drive: No. There will be no standard warranties unless highlighted in the warranty section below. 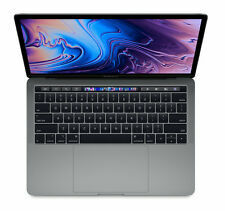 The MacBook Pro features Radeon Pro 555X Dedicated Graphics with 4GB of RAM, and connectivity options include WiFi. Unit 63-64 Leyland Trading Estate. Item is otherwise complete with all accessories as you would expect from a new item. Brand: AppleProcessor: Intel Core i7 8th Gen. Type: Notebook/LaptopBrand: AppleProcessor: Intel Core i5 4th Gen.
OSX YOSEMITE 10.10.5 Everything goes right on it. (last picture). Before send it I will reset as a new device and my apple id and find my mac removed you most need one to setup. I take a good care as I can but 8 years of hard use will leave signals on it. Order MC373LL/A Model A1286. MacBook Pro A1286. 2.80 GHz Core i7. Storage 750 GB HDD Optical 8X DL "SuperDrive". RAM 8 GB VRAM 512 MB . April 13, 2010 Disc. February 24, 2011. Family Mid-2010 15" ID MacBookPro. 320GB HARD DRIVE. APPLE MACBOOK PRO 15" LATE 2008. THIS MACBOOK IS IN GOOD CONDITION. DVD RW DISK DRIVE. NVIDIA GRAPHICS. JOB LOT OF 14 X MACBOOK 2.5" HARD DRIVES. Here we have a job lot of 14 Macbook Hard drives of various makes. ( Hitachi, Toshiba, HGST). Sold as a job lot. Various Makes 250, 320, 500, 750. Hard Drive. You can slip it into a bag or case and enjoy access to everything that matters without compromising luggage space. If you do need to top up, simply connect a USB-C cable to the MacBook. USB-C is the next-generation of PC connectivity, and allows you to connect monitors, external storage, peripherals, and more. Brand: AppleProcessor: Intel Core i5 3rd Gen.
Model: A1278. Macbook Pro 13" Mid 2012 i5 4GB RAM 1TB HDD. Macbook Pro 13" Mid 2012 i5 16GB RAM 500GBHDD. Storage: 1TB HDD. CPU: 2.5 GHz Core i5. 13" Apple Macbook Air Mid 2012. RAM: 4GB 1600MHz DDR3. Processor Core2. Apple Macbook A1181. Apple's goal with this MacBook was to do the impossible: engineer a full‑size experience into the thinnest, lightest Mac notebook yet. And not only is it compact — it’s more powerful than ever. MacBook was built for virtually silent performance. Collection station availableType: Notebook/LaptopBrand: AppleProcessor: Intel Core i5 4th Gen.
(Th Gen) 4870HQ / 2.5 GHz / 4 MB Cache. · Not following the manufacturers instructions. · Non-compliance with the manufacturers safety and compliance guide. · Misuse or improper handling. Type: Notebook/LaptopBrand: AppleProcessor: Intel Core i5 3rd Gen.
Hard Drive: 320GB HDD. Processor: Macbook Core i5-2415M@ 2.3GHz,13"Late 2011, Mac Office installed. Model No: Macbook Pro A1278(EMC2419)Early 2011. MAC OS High Sierra. Screen: 13". Excellent Condition Throughout Grade B . Type: Notebook/LaptopBrand: AppleProcessor: Intel Core i5 2nd Gen.
Apple MacBook Pro A1297. Storage Capacity: 256GB SSD & 1TB HDD. i7-2720QM|16GB DDR3 |256 GB SSD|1TB HDD||. CPU: Core i7 Quad Core 2.20GHZ. Series iPad AIR WI-FI 32GB MD789FD/A. The instruction booklet may not be included. On-line support is available from the Manufacturers website. Color Silver. Average Battery Life (in hours) 10 hours.